3's title listed as "What's Fair" on release; produced & remixed at HipCat Studios-Kolding, Denmark. 5's title listed as "Yu-Gung (Adrian Sherwood Mix)" on release. 12's title listed as "Gubert Einer Nation" on release. 13 mixed at JLAB, Los Angeles. 14 remixed at Strip Farm, Denmark. 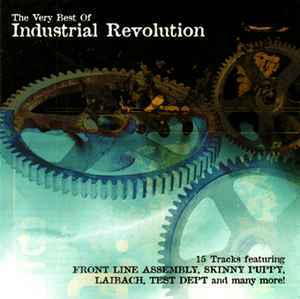 15's title listed as being "Third Life (Time Center Remix By Front Line Assembly)" on back cover and inlay, "Third Life (Time Center Remix)" in booklet; erroneously listed as being written by cEvin Key and D. Goettel. Laibach's "Geburt Einer Nation" originally performed by Queen as "One Vision".